It's beginning to look a lot like Christmas in our household! 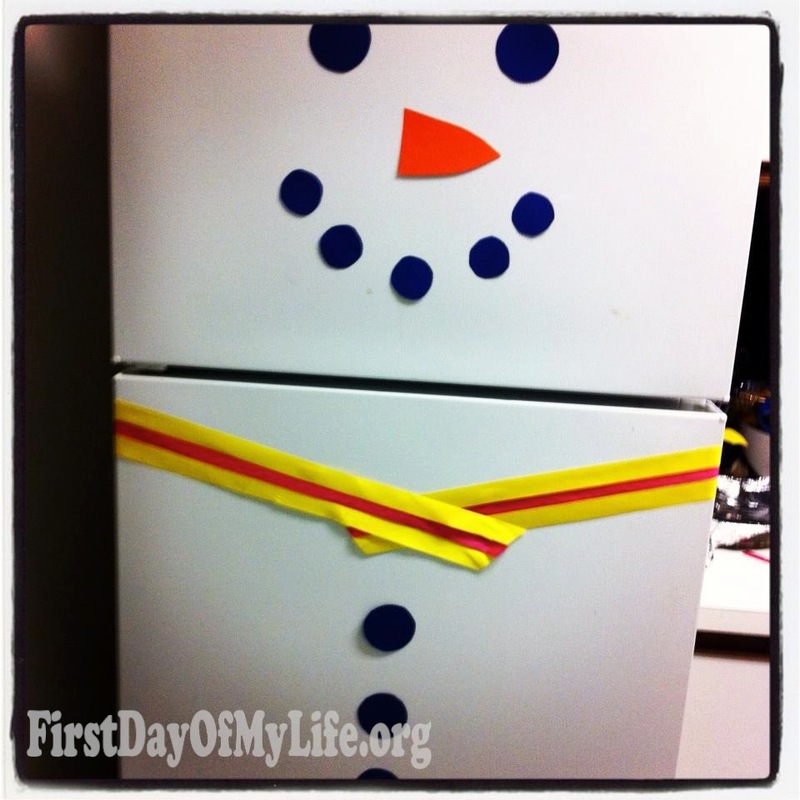 With a couple pieces of paper and different color ribbons you can have a Mrs. Frosty refrigerator! To be simple, I just used tape to attach the above materials on the fridge. And wa-la - you get a cutie Mrs. Frosty in your kitchen! Found on Jamie's blog originally! You can pin this so you can remember to do it later! I love this so much! I definitely want to do it! Adorable. May need to copy!